A previous post displayed photographs of storms and weather that occurred during July of this year’s North American Monsoon. Here are photographs from August (plus the first day of September). A search for wildflowers and thunderstorms brought me to Rogers Lake west of Flagstaff. 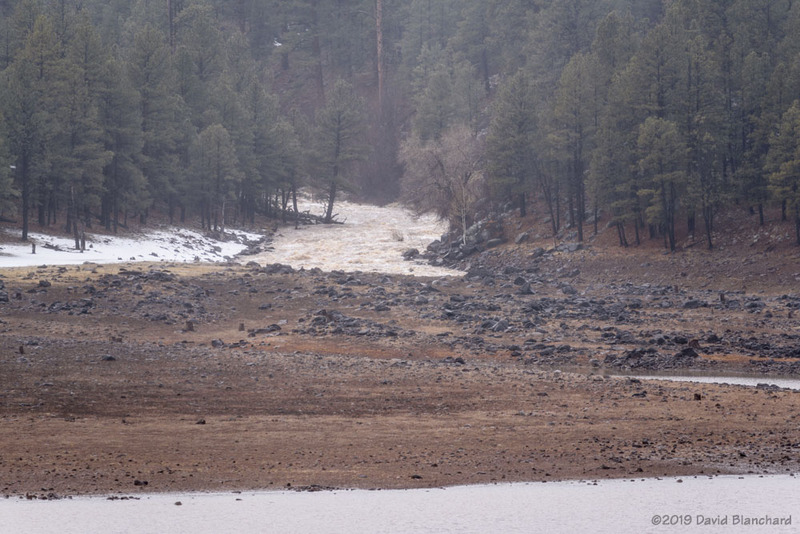 It’s a lake only ephemerally during springs with heavy snow runoff. 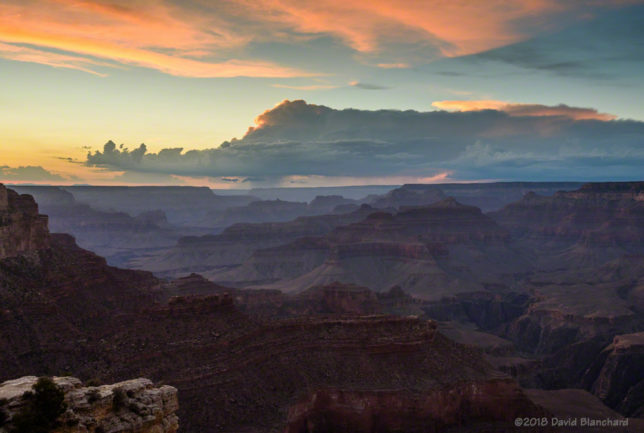 But it makes a grand place for photographs when a wide-open vista is desired. Earlier convective storms were pushing an outflow boundary southward with new convection developing on the boundary. Outflow boundary and convection over Rogers Lake with the San Francisco Peaks in the distance. 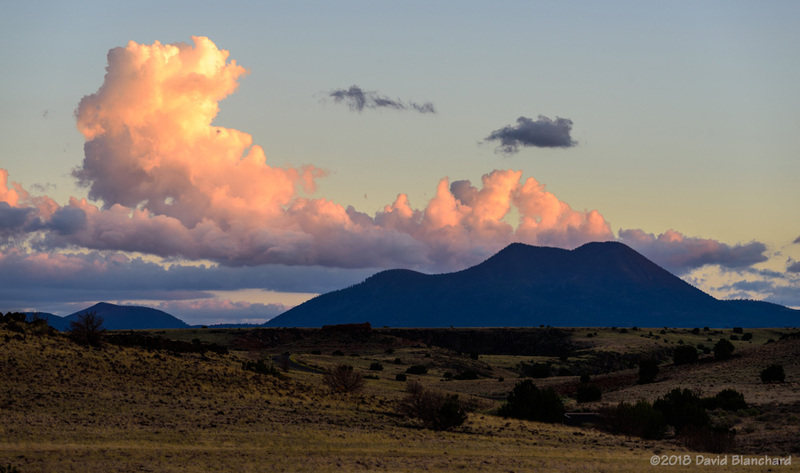 A distant cumulonimbus can be seen from the Doney Mountain Picnic Area near Wupatki National Monument. 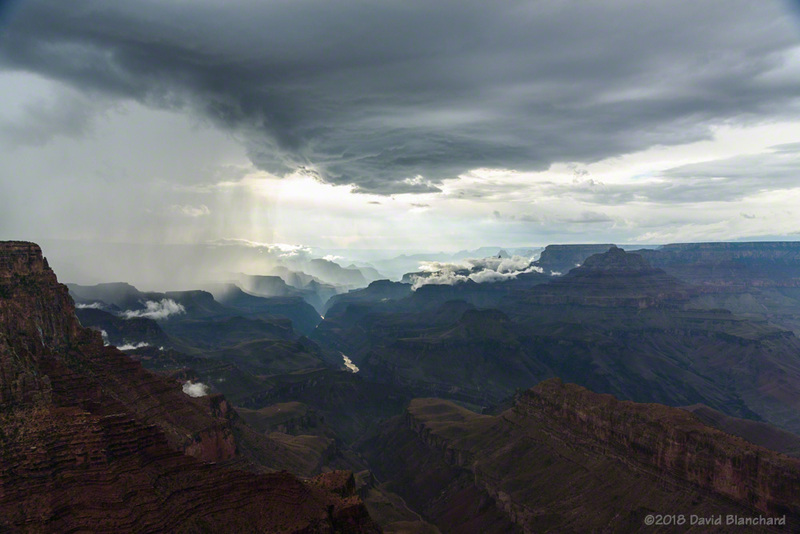 Thunderstorms move across Grand Canyon with low clouds clinging to the higher points and buttes. There was just enough vertical wind shear on this day to allow some storms to briefly exhibit supercell characteristics and deviate to the right —which brought this thunderstorm near the edge of the North Rim of Grand Canyon. 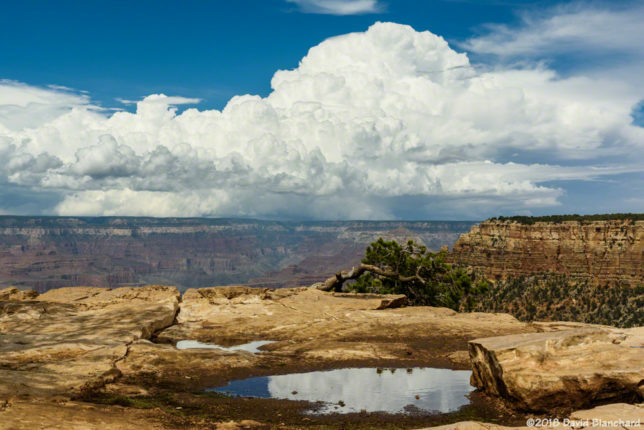 A strong thunderstorm over the North Rim of Grand Canyon is reflected in a small pool of water. 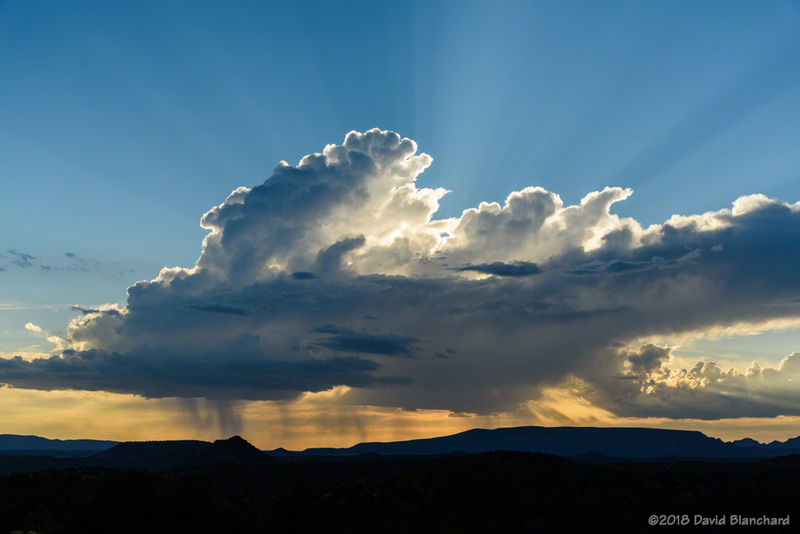 A weak, late afternoon thunderstorm is backlit by the setting sun. Sometimes the unexpected can be magical. 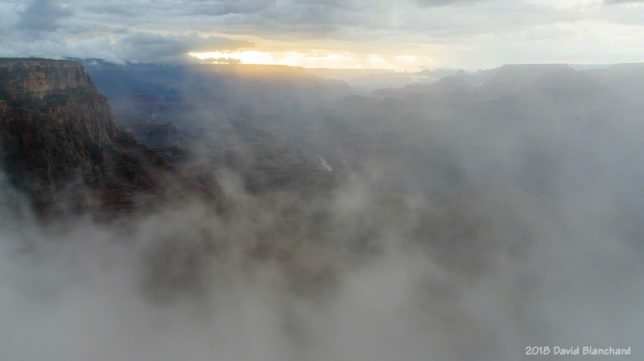 When fog forms in Grand Canyon the visitors may be disappointed but there is the potential for amazing photographs. 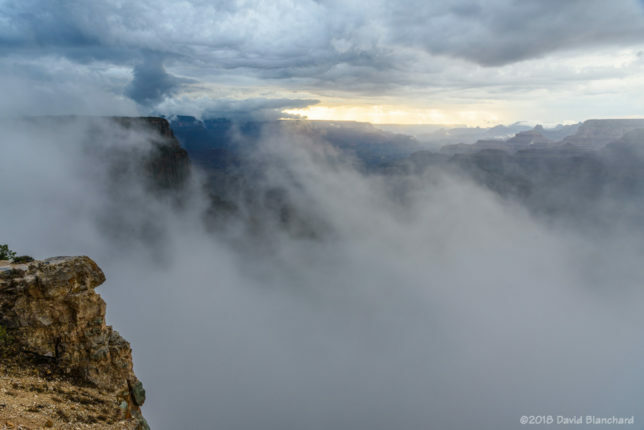 A long-lived cluster of thunderstorms east of Grand Canyon pushed a cool, moist outflow into the canyon producing areas of fog near the South Rim. More fog in Grand Canyon. 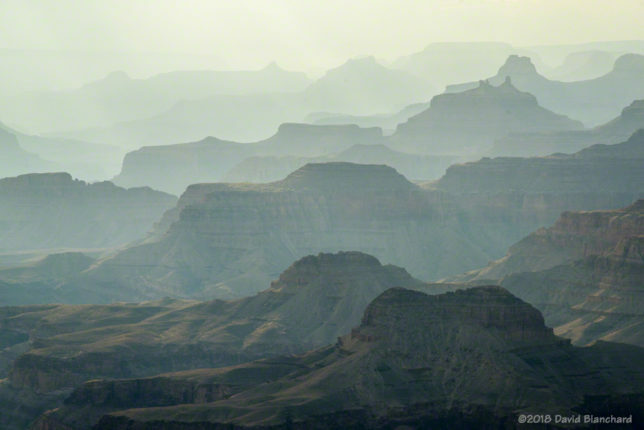 Smoke from the Obi Fire on the North Rim produced both amazing and dull conditions. 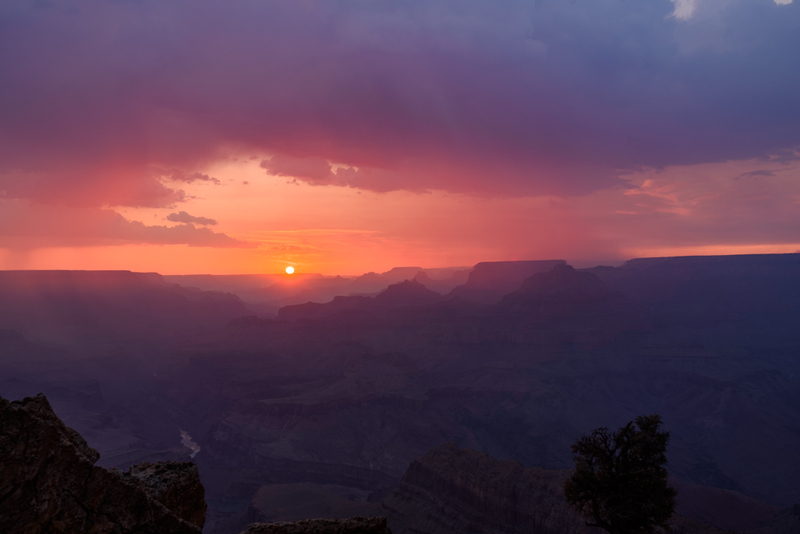 Smoke from the Obi Fire on the North Rim creates a colorful sunset. Smoke from the Obi Fire fills Grand Canyon and reduces visibility. Sunset after the storms can be amazing. And if there is a nearly full moon, things can get very interersting. 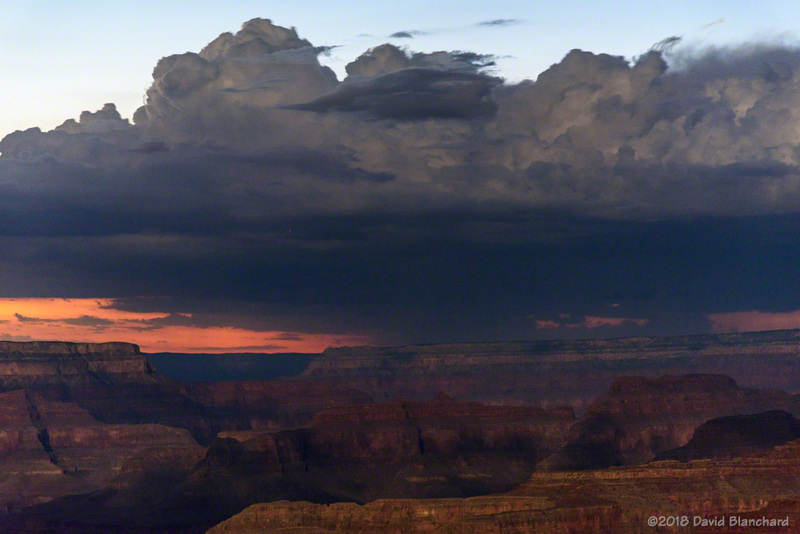 A backlit thunderstorm at sunset over Grand Canyon. Post-sunset colors illuminate the underside of a dissipating shower. Dissipating cumulus clouds at sunset with O’Leary Peak in the distance. 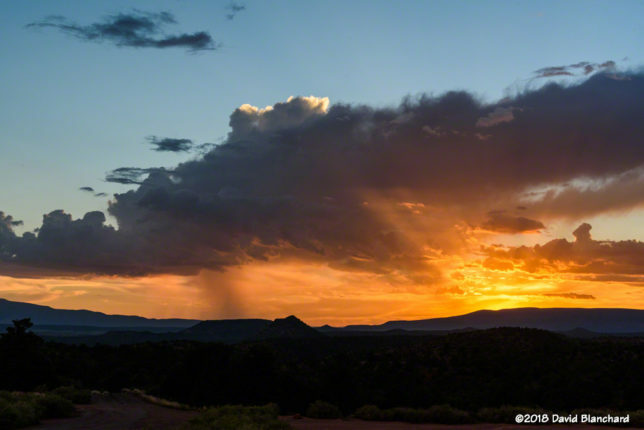 Dissipating showers are backlit by the setting sun. The nearly full moon illuminates the inner canyon as twilight fades behind a distant thunderstorm. 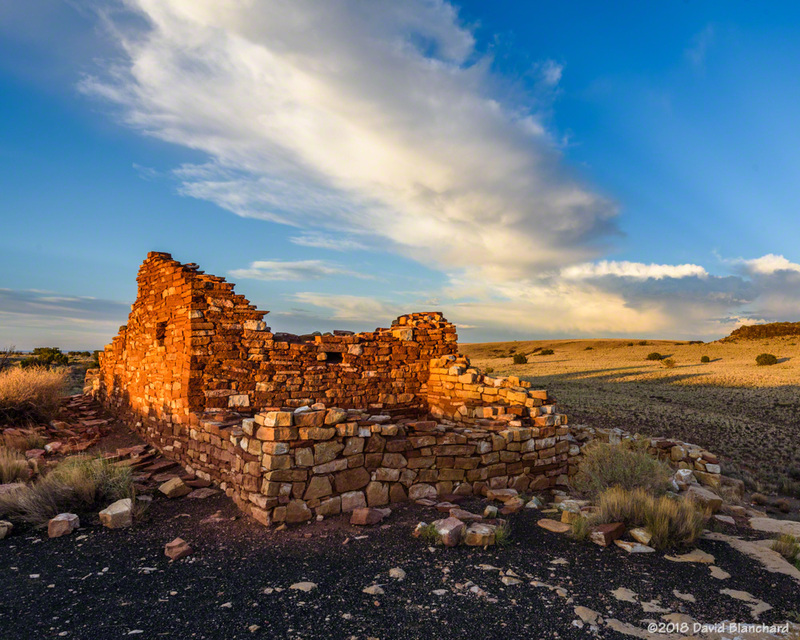 A dissipating thunderstorm anvil cloud is seen above pueblo ruins in Wupatki National Monument at sunset. 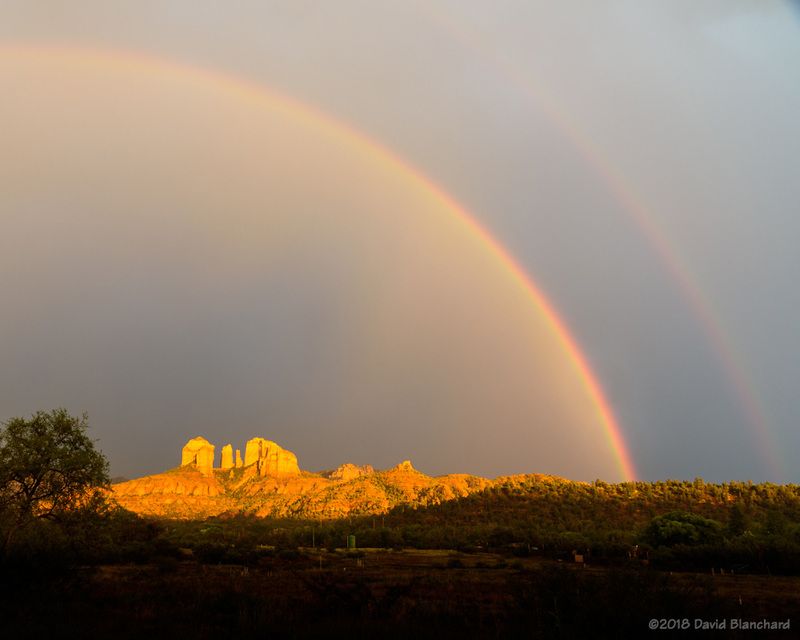 A double rainbow above Cathedral Rock in Sedona. 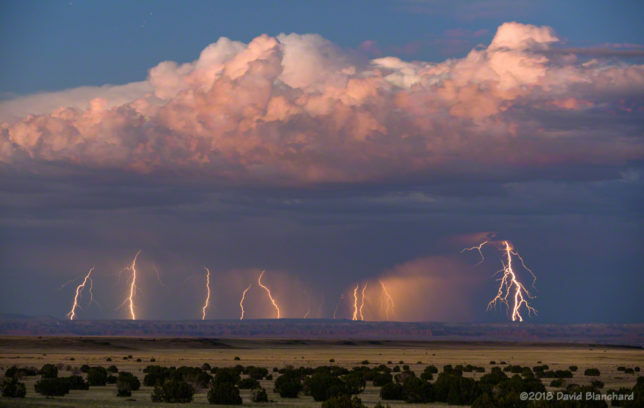 A rainbow, dissipating anvil, thunderstorm, and towering cumulus. 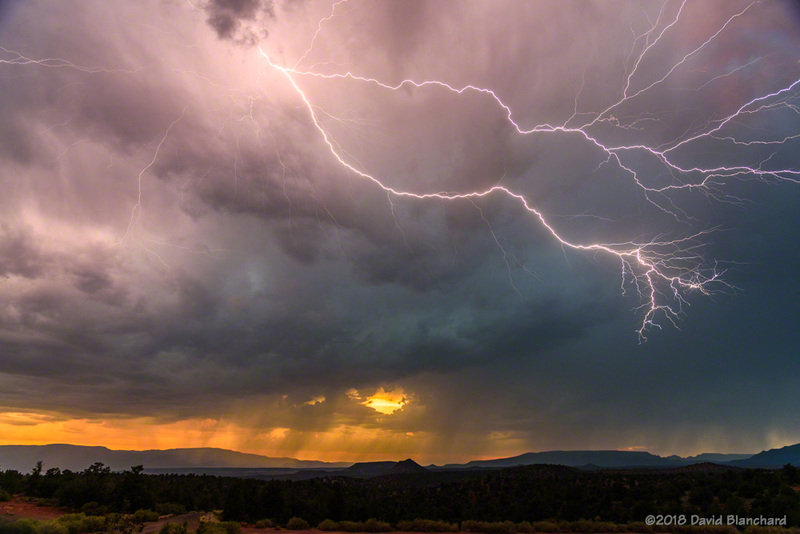 An amazing anvil bolt…and too close! 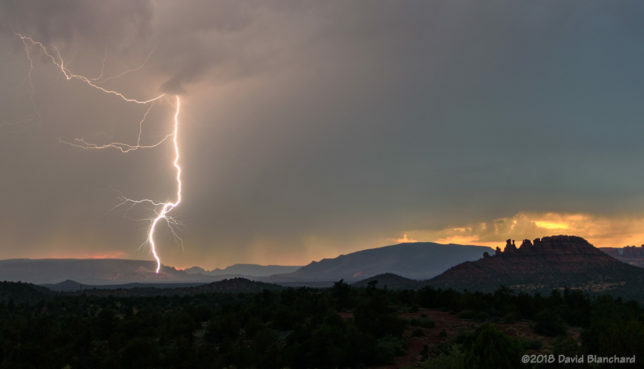 Lightning west of Sedona, Arizona. Lightning illuminates Grand Canyon at night. 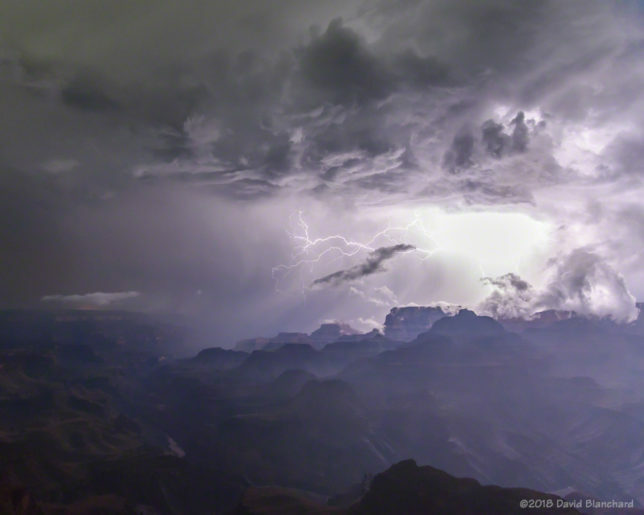 Lightning strikes the Moenkopi Plateau (composite image). 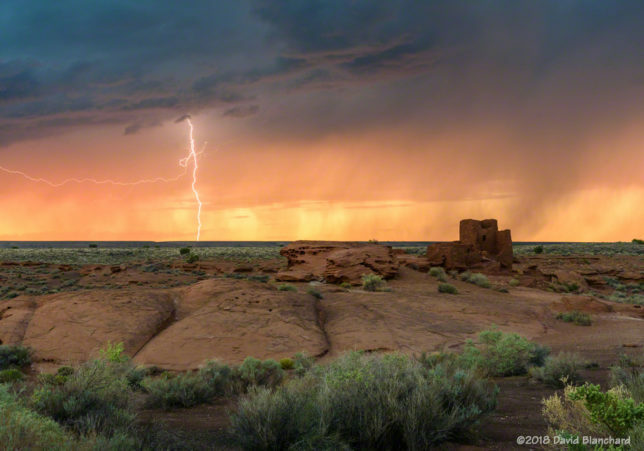 Several bolts strike behind Wukoki Pueblo in Wupatki National Monument. The setting sun lights up rain curtains as a brilliant lightning bolt strikes behind Wukoki Pueblo in Wupatki National Monument. 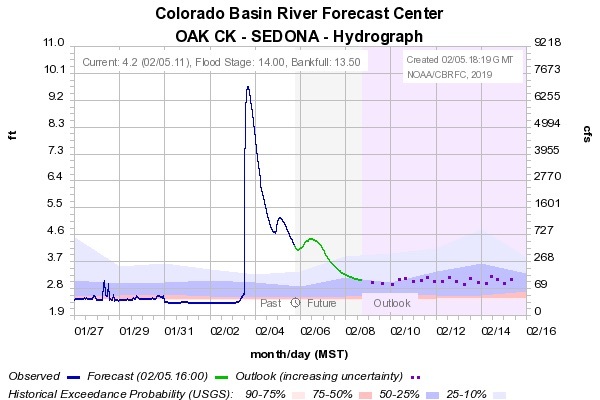 It’s early September and the summer monsoon pattern is beginning to fade away. Soon it will be time to start thinking about autumn colors on the peaks. The last few days have provided opportunities for photographing lightning and moonbows. A moonbow, of course, is nothing more than a rainbow that is lit by the light of the moon rather than the sun. 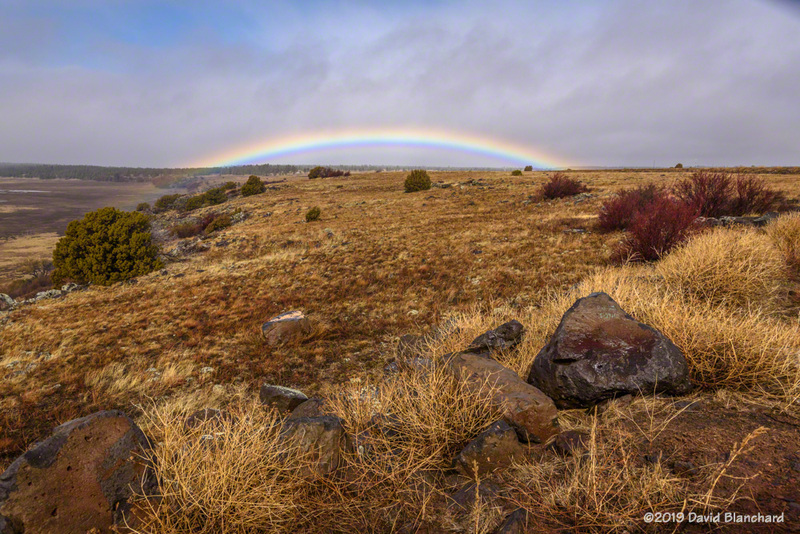 Although not rare, I’ve never had an opportunity to photograph a moonbow before. 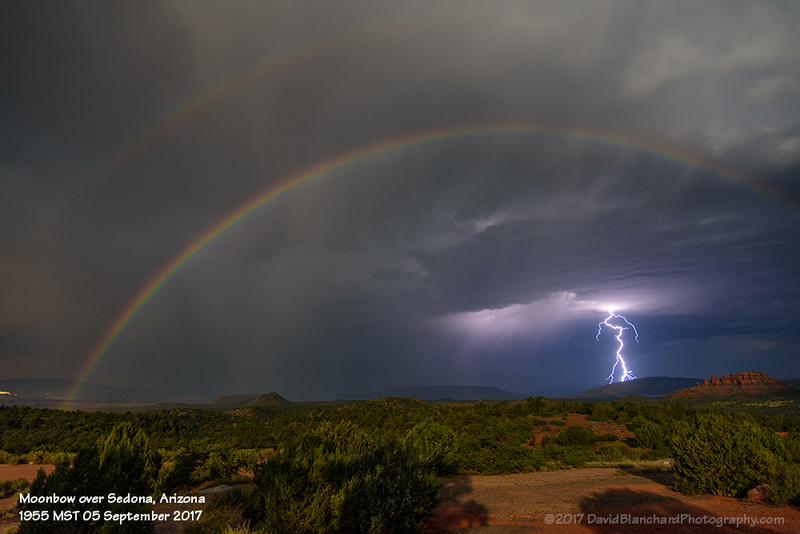 Even better, it was a double moonbow. And, to make it even better, there was lightning to go along with it. 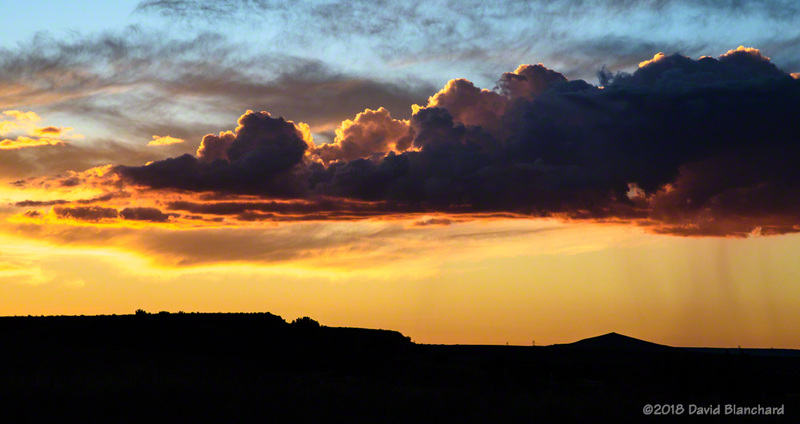 A short time-lapse video is available. The video covers a period of 24 minutes compressed into 8 seconds. 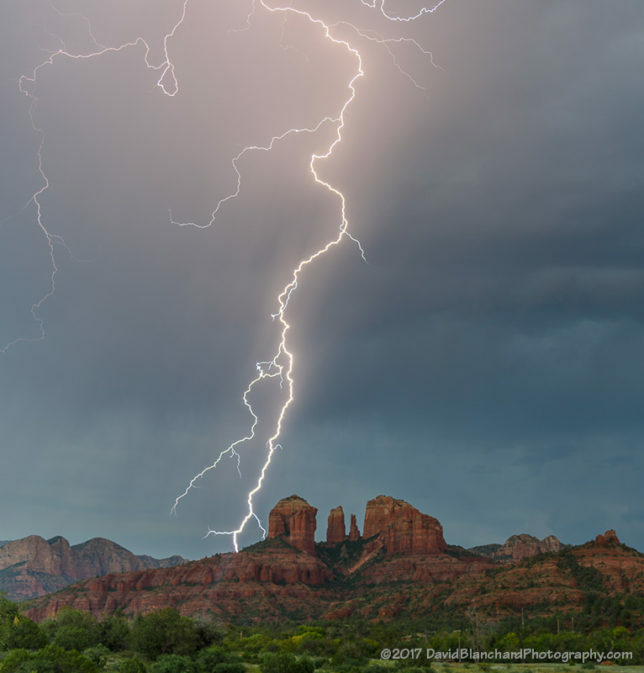 Lightning near Cathedral Rock, Sedona, Arizona. Lightning and rainbows and storms. Oh, my! The summer thunderstorm season got off to a slightly early start this year with moisture flowing northward into northern Arizona in late June. A more typical start would be the first or second week of July. However, you won’t get complaints from most folks about the early start as it signals the end of wildfire season. The highlight this early in the season is this rainbow seen from Yavapai Point on the South Rim of Grand Canyon National Park. 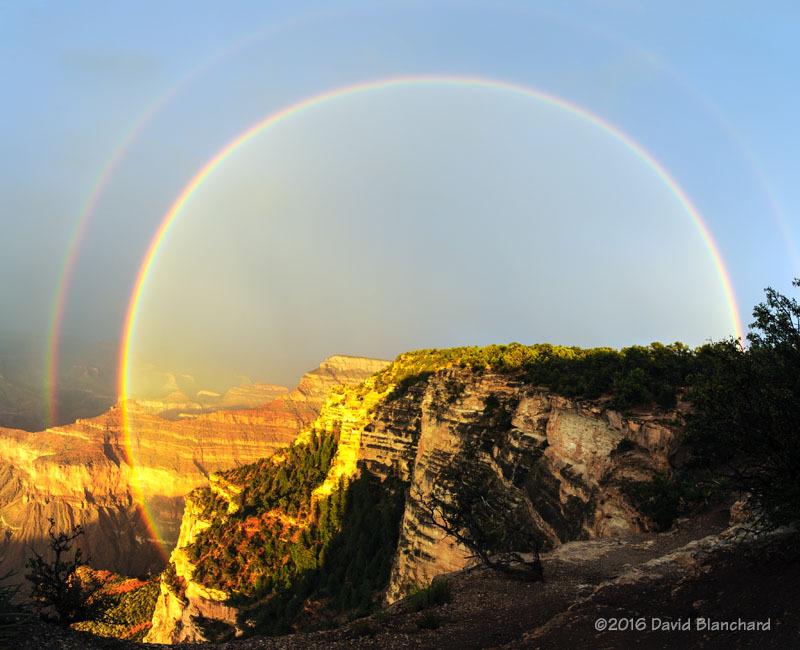 The rainbow spans nearly 3/4 of a full circle and contains both primary and secondary bows. 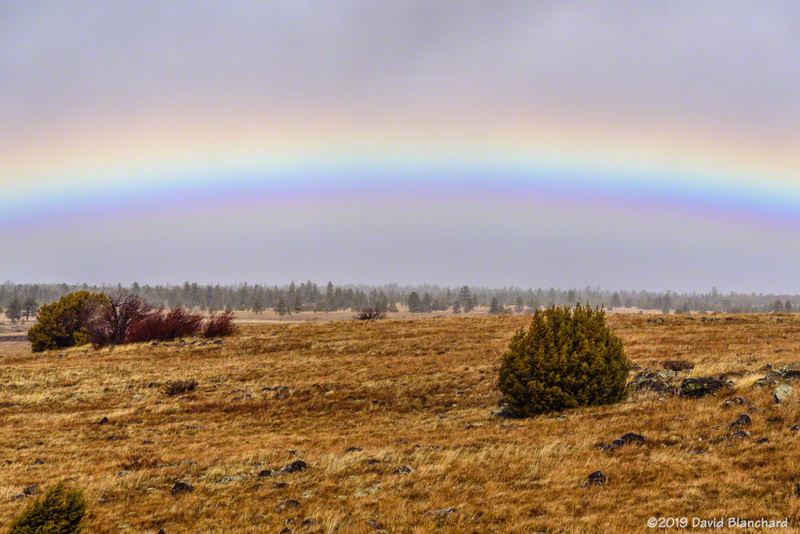 Rainbows typically are at least 50% hidden owing to the horizon. Only when the horizon is lower than the observer—e.g., from a mountaintop or over a canyon—will more than 50% be visible.